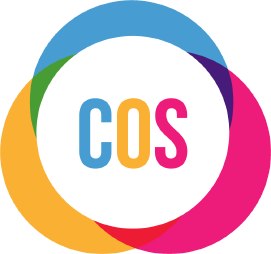 As a charity Centre of Sign-Sight-Sound (COS) has the organisational purpose of: promoting, developing and causing to be provided appropriate facilities, services and resources to improve the quality of life and equality of opportunities for D/deaf people and people living with sensory loss. COS’s mission is to promote a world where sensory loss does not limit, preclude or stigmatise people from achieving their full potential. We do this by campaigning and lobbying, raising awareness of sensory loss, promoting health, learning and communication support, and providing services which enable the achievement of our mission. The services we provide are aimed at ensuring D/deaf people and people living with sensory loss have equal access to statutory, voluntary and private sector service provision enabling them to remain living independently in their own homes for the longest time possible. It’s an exciting time for the Centre of Sign-Sight-Sound (COS) as we begin a new three-year employment project working with key partners Action on Hearing Loss and Elite Specialist Employment Agency, to deliver the JobSense project over the next 3 years, which aims to support people with sensory loss (those who are deaf, have hearing loss, blind, have sight loss or are deafblind) into work. Answering to the Project Coordinator, the Project Administrator will be responsible for providing a full support service to the delivery team and ensuring all monitoring information in line with the Operations Manual is completed effectively and delivered to the COS Project Coordinator for submission to the overall JobSense Programme Manager. You will play a key role in the successful running of this European Social Fund project. The role requires someone who is experienced at delivering effective administrative support and has a good attention to detail. You’ll also be used to working independently under your own initiative, with the ability to plan and prioritise your workload effectively. You will also be passionate about making a difference to the lives of people who have sensory loss. Provide a full administration support service for a range of identified projects in line with the requirements of the funders/contractors. Where required, to provide administrative support in relation to the HR functions within the organisation. Where required and in the absence of the Office Manager, provide an administrative support service for the Senior Management Team, including the updating of agency documents, e.g. policies, forms etc. and co-ordination of the office IT systems. To carry out general administrative duties, as required. Attend staff / team meetings; distributing agendas and take, write and distribute minutes as required. In collaboration with the team, carry out all reception duties including; answering the telephone, transferring calls, taking messages, making enquiries / arranging meetings, greeting visitors appropriately, incoming / outgoing post, where required. Support with the maintenance of the office environment. In collaboration with the team, preparation of training materials as and when required, i.e. OHP, PowerPoint and Handouts. To liaise with all other administrative team members on a regular basis to ensure coordinated approaches to administrative management, including document control, compliance with General Data Protection Regulations, confidentiality and high levels of consistency in operational administration. In the absence of the Finance Officer/Assistant, provide support to the Finance Department in relation to the maintenance of finance records and financial administration. Support with the administration of the organisation’s marketing. Locking/close down and / or opening of the office as required. To carry out all other reasonable duties commensurate with the grade of the post as required through consultation with the Senior Management Team. To be aware of the Safety at Work Act, Equality Legislation, GDPR and Safeguarding. To work in accordance with COS Lone Working Policy. To work on other projects within the organisation as directed. Recognise and work within COS’s quality system and standards that encompass those of our funders. To work as a member of the team, taking part in regular supervision, meetings and appropriate training. Applicants must demonstrate in their CV and supporting statement that they currently use the skills outlined below or have used them previously in employment, education, training, volunteering etc. Proven written and oral communication skills, professional telephone manner. Excellent problem-solving skills and solution focused. Skills in Minute taking, distribution of Agendas and Minutes. Experience of setting up and managing administrative systems. Experience of working within the third sector. Understanding and commitment to Equal Opportunities Policy and Practice. Listed below are key competencies, which describe how the job must be carried out in order to achieve the objectives set. Ability to plan, lead and manage proposals that win new business, in line with business processes. Ability to identify and successfully plan dependencies in complex projects, prioritising critical tasks and allocating time and resources to the crucial areas that will underpin project success. Acting to minimise errors and inaccuracies, maintaining high standards of accuracy and correctness in dealing with information and data. Adopting an orderly and precise approach to work paying careful attention to following standard procedures and ways of working. Build and maintain good working relationships with colleagues within COS to cultivate a positive team spirit, commitment to the team and achievement of shared goals. Please email: stephanie.woodcock@signsignsound.org.uk for details of how to apply for this post. *Statement: This Job Description and Person Specification reflect the duties of the post as they exist at this time and may be subject to changed based on the needs of the organisation. The post-holder may be required to undertake other duties commensurate with the salary and competence requirements of this post from time to time as required. Manage your own time and prioritise work to ensure deadlines are met and targets achieved. Provide cover across the team as appropriate and when required. Ensure that reasonable care is taken at all times for the health, safety and welfare of yourself and other persons, and to comply with the policies and procedures relating to health and safety.